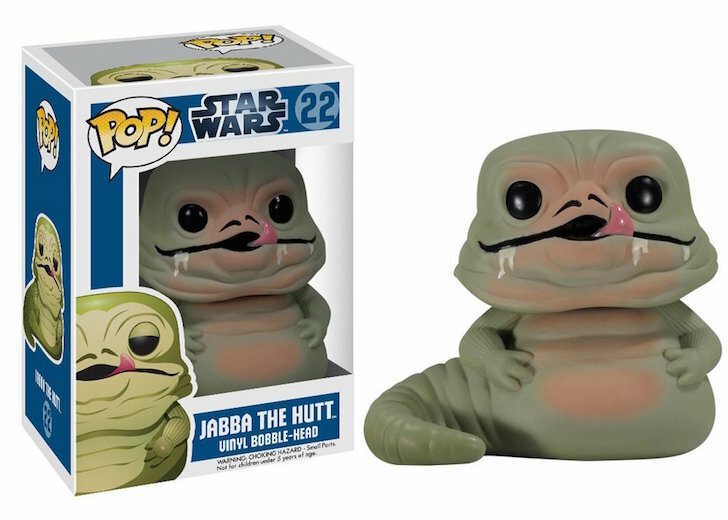 Jabba The Hutt is a large alien with a slug body who is the most powerful crime boss on Tatooine. He employs many, including Han Solo whom he has a bounty on for being negligent on a payment. Jabba keeps and imprisons many at his palace for his own entertainment purposes, having a large appetite for both food and performance. One example is Princess Leia whom he has chained to him. He appears on the big screen in the 1983 blockbuster: Star Wars: Episode VI Return of the Jedi.